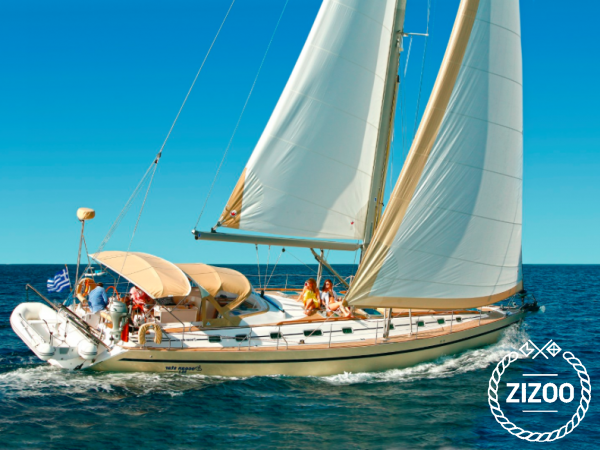 Available to charter in Athens and throughout Greece, this gorgeous custom built sailing yacht is the ultimate cruising vessel for your next boat holiday. Lovingly crafted by the luxury boat manufacturer, Ocean Yachts, the Ocean Star 56.1 is fully crewed and can accommodate up to 8 guests in its 4 double cabins. Travel around the Athenian Riviera and Greek islands in style and comfort on this luxury charter. The 2-member crew will lead on an amazing holiday and treat you to fine meals that can be enjoyed in the stately salon or al fresco on the deck. For tips on what to do and see in Greece, check out our guide.